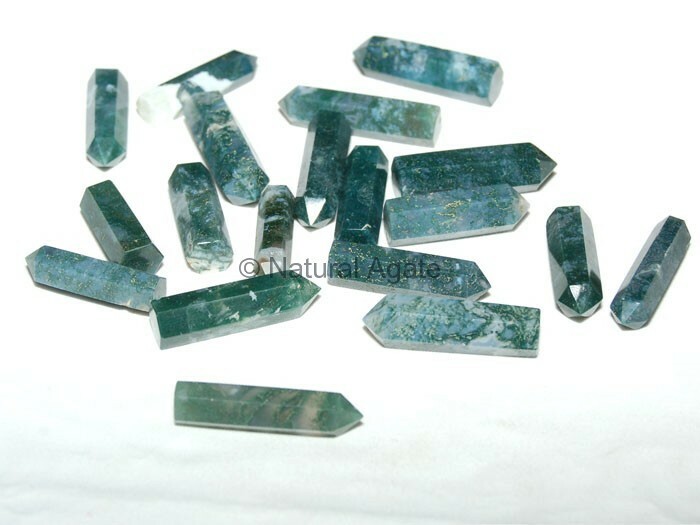 Moss Agate Pencil Point is 20-30mm long and is available on Natural Agate. This pencil point work wonders during depression. It is a detoxifier.